Human Justice upholds the right to live in a healthy and vibrant community, where each person is safe, thriving and able to reach their full human potential. To realize this foundational human right, we must ensure opportunities, resources and willpower for human development to flourish. The merger of human rights and human development results in what we call Human Justice. We achieve Human Justice when we see community investment, empowerment, creativity, joy and well-being along with healing and accountability for everyone who lives and works in our communities. Our theory of change rests upon philosophical and methodological approaches that affirm Human Justice as the most effective framework for achieving justice, safety and the well-being of communities as it advances Community Empowerment, System Change and Individual Transformation. 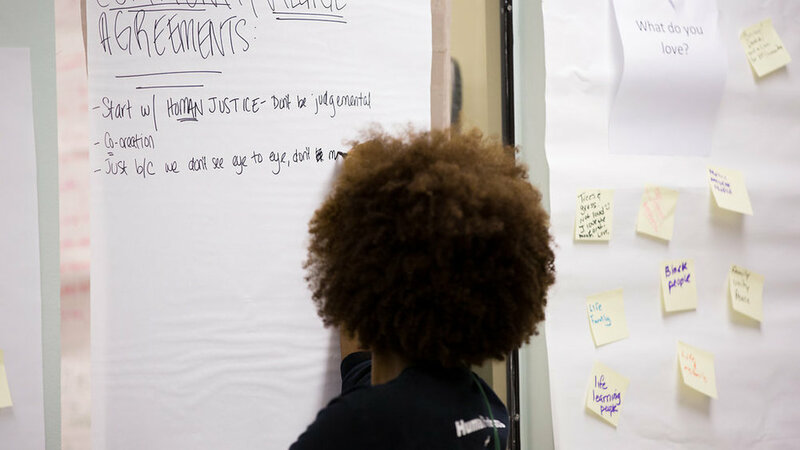 Staffed by community and youth experts directly impacted by the legacy of criminalization and mass incarceration, CNUS engages in youth and community empowerment to 1) hold decision makers accountable and effective, 2) change systems and 3) bring about the individual transformation of system stakeholders, youth and community members alike. We believe this three-prong approach will help us achieve our vision of Human Justice. Community Empowerment: We believe community members know best what resources and programs they need to improve their neighborhoods and that they must participate meaningfully and equitably in decision-making that affects their daily lives. CNUS empowers community members by listening to their needs, mapping existing assets and innovations and partnering with them to create leadership for change and well-being for the community. We focus on education, economic development, civic leadership and social services. System Change: Our criminal justice system is broken by design. The current system does not keep us safe, believe in our humanity or support our full human potential. 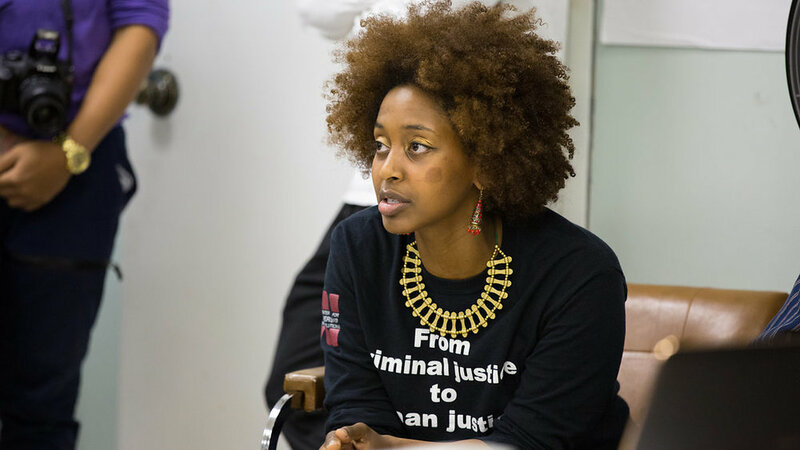 CNUS works toward system change and elevates Human Justice to transform the practice of public safety, justice and accountability from criminal to human. We provide training and technical assistance for system stakeholders that engage highly consultative and co-creative processes to achieve institutional culture change, meaningful accountability and equitable community partnerships. Individual Transformation: Individual transformation places the person—the human being—at the center of any policy, practice or program that results in a youth or community member’s ability to be safe, thrive and fulfill their potential. CNUS sponsors programs and activities to promote individual transformation that enable youth and community members to bring their full selves to bear upon the work of community empowerment and system change.